Policies and procedures for faulty and adjuncts needing library resources or instruction. Book an appointment with your closest librarian to get research help or personal instruction in any library service. An information literate person recognizes a need for information and knows where and how to get that need satisfied. It is becoming more important to teach information literacy to students due to the overwhelming amount of free information produced on the web. Students today believe they know how to search the web and get needed information, but many do not decipher the merits of the source when selecting websites to use in a scholarly research assignment. Students need to know how and when to search the Internet for information. They also need to realize the importance and availability of library resources as students, professionals, and citizens. Embed your favorite LibGuide right into Blackboard. 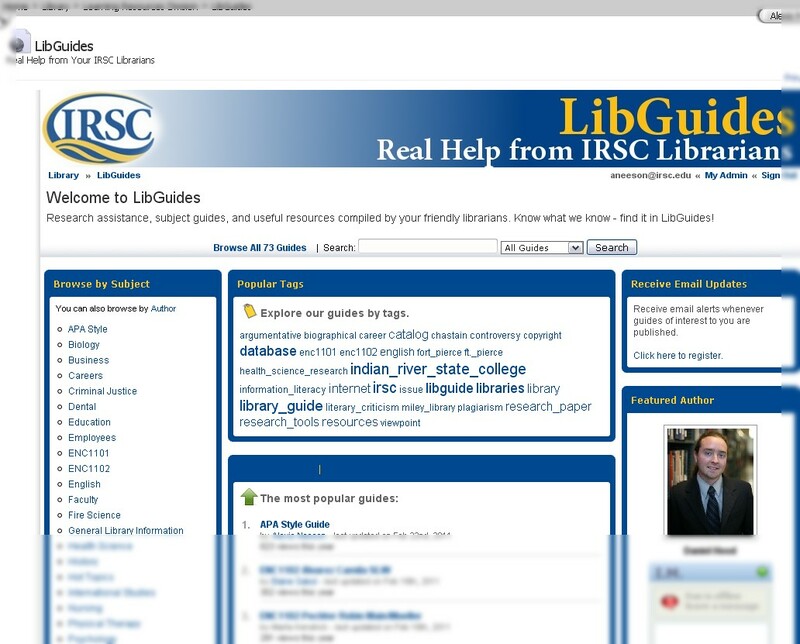 Just copy and paste the LibGuide URL and add it to your course resources or lessons page. Assigning videos as class projects is a great way to encourage students to interact with course material in new ways which may be more relevant to how they like to learn. There are special considerations to be made for media projects-- including copyright compliance, use of appropriate sources, and citing sources properly in a digital work. Librarians are available to assist by way of instructional research sessions, one-on-one and small group appointments, and are also available to help you design your next project. Assistance with available free technology sources is also available. Excellent resource geared toward faculty on the process of designing successful digital media projects. Need a place to get work done in between classes? Need to meet with students outside the classroom? Find dedicated workspaces at all IRSC campus locations here. Need a course or assignment specific LibGuide? Send the details to any librarian to get a customized LibGuide just for your students. Provides a list of ideas for professors to incorporate into the classroom, produced by the University of New Brunswick Libraries. Helpful information for professors, produced by the University of Maryland. Drew University libraries' assignment checklist and expanded definition of information literacy. UCF's checklist of how to evaluate a website. Find publications and trends as they happen in education, produced by the Department of Education.